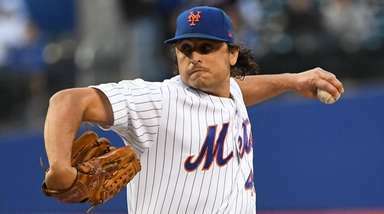 Babe Ruth's No. 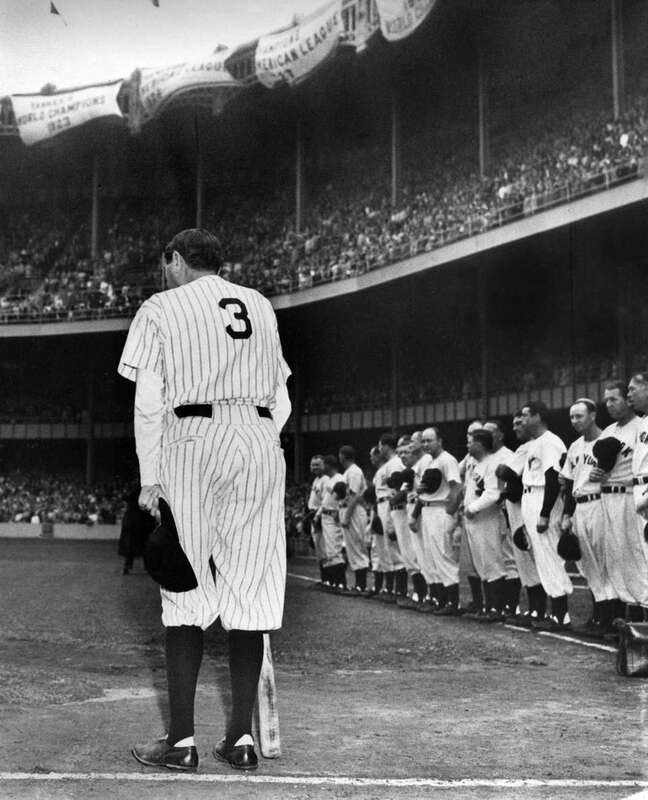 3 was retired by the Yankees on June 13, 1948. It was the final appearance by the legendary baseball player at Yankee Stadium, also known as "The House That Ruth Built." Ruth died from cancer two months later on Aug. 16. Ruth hit 659 of his 714 career home runs during his 15 seasons with the Yankees. 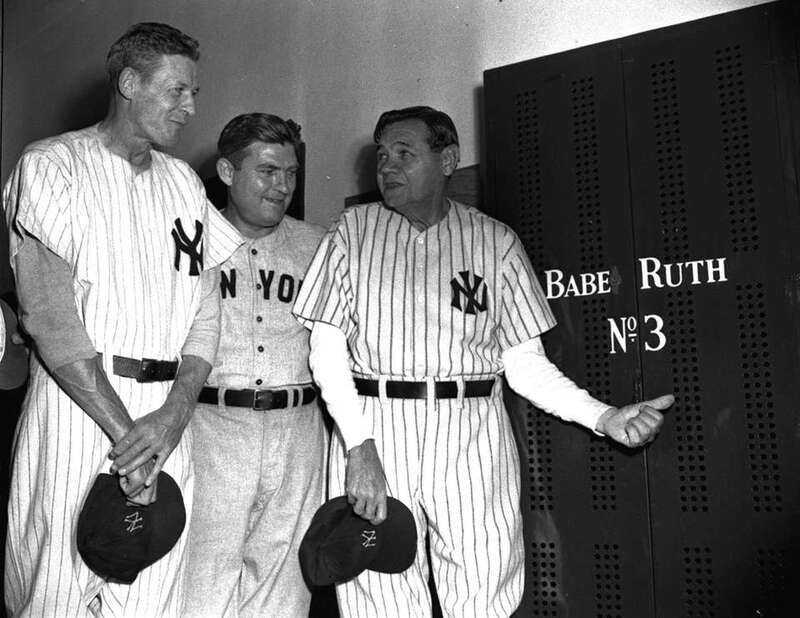 Babe Ruth, right, points to his locker in Yankee Stadium on June 13, 1948, as he stands with Mark Koenig, center, and Bob Meusel. 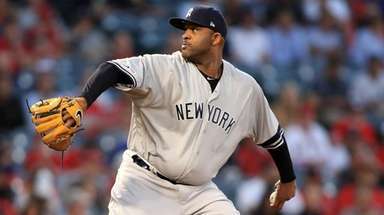 At pregame ceremonies that day at the stadium, Ruth's no. 3 locker was sealed forever and his no. 3 shirt sent to the baseball Hall of Fame at Cooperstown. Babe Ruth (fifth from right, rear), and members of the 1923 New York Yankees gather in Yankee Stadium, New York on June 13, 1948, prior to ceremonies marking the 25th anniversary of the opening of the stadium. 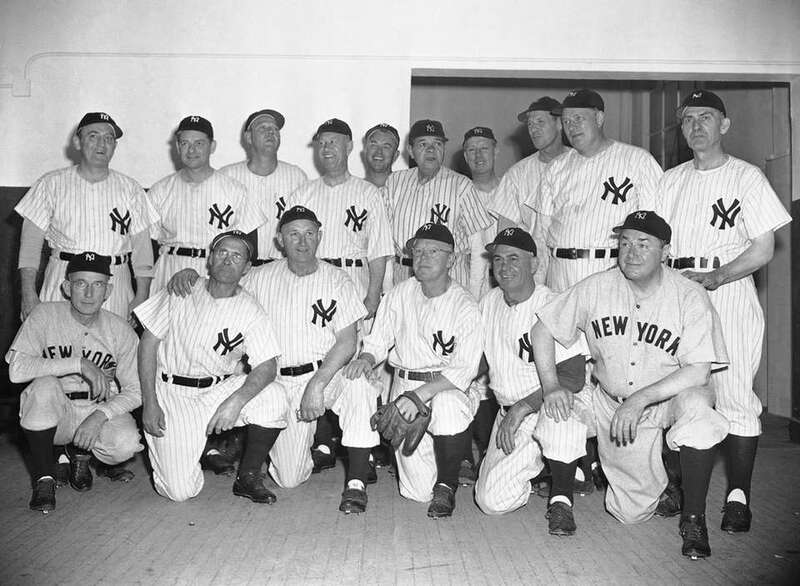 (Left to right, front) are: Sam Jones, Wally Schang, Carl Mays, Whitey Witt, Fred Hoffman, and Mike McNally; (Left to right, rear) are: Pinky Haines, Waite Hoyt, George Pipgras, Joe Bush, Oscar Roettger, Babe Ruth, Joe Dugan, Bob Meusel, Wally Pipp and Elmer Smith. Babe Ruth, wearing his No. 3 uniform, receives a standing ovation as he comes out of the Cleveland Indians' dugout to take a bow at Yankee Stadium in the Bronx on June 13, 1948. Ruth is participating in ceremonies marking the 25th anniversary of the opening of Yankee Stadium and the retirement of his jersey. 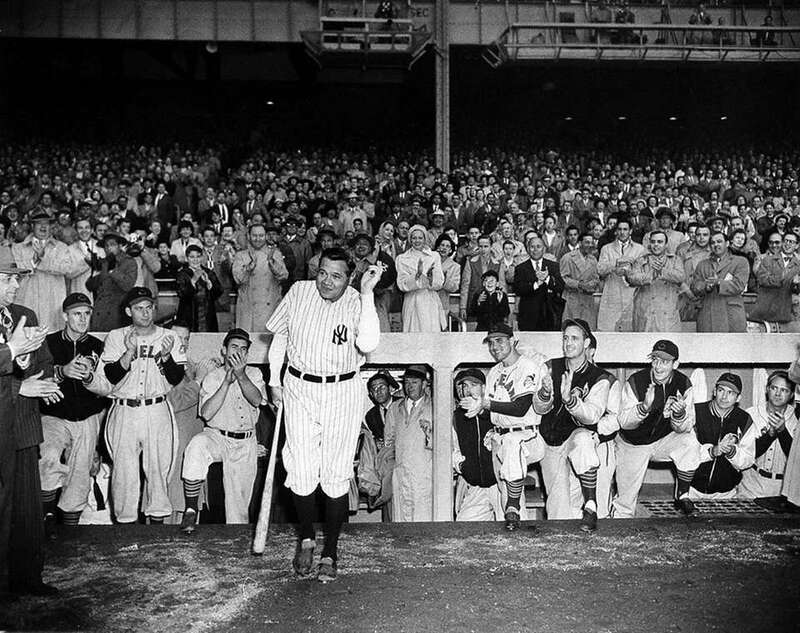 Home run king Babe Ruth, wearing his famed number 3 uniform, bows as he acknowledges the cheers of thousands of fans who saw his number retired permanently by the Yankees during the June 13, 1948 observance of the 25th anniversary of the opening of Yankee Stadium. 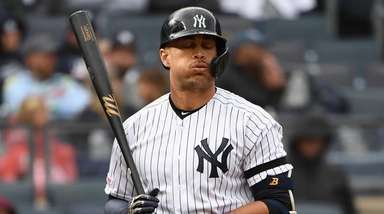 Who are the 10 greatest Yankees?The greatest players that make up a rich Yankee tradition. 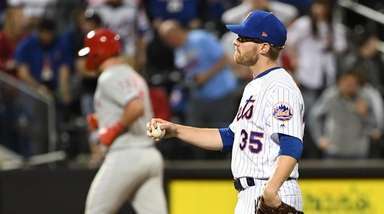 The 500 home run clubMeet the Major Leaguers who have hit at least 500 home runs in their career.